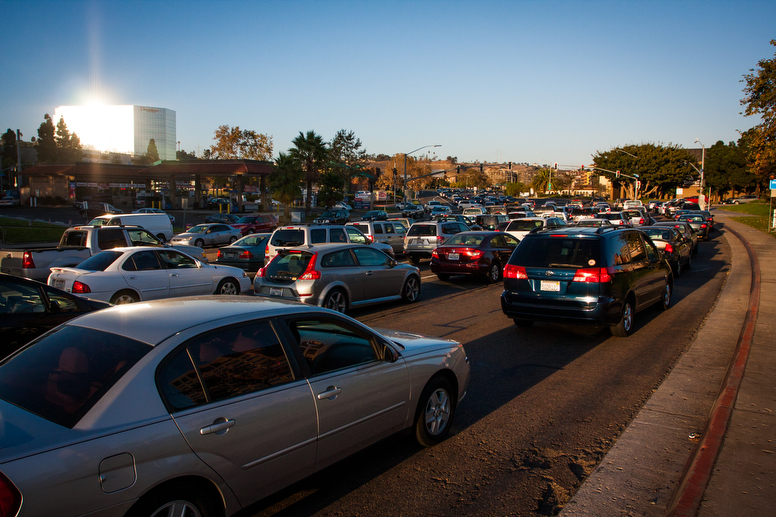 The San Diego Police Department initially told Voice of San Diego it had no control over who can see its massive database that tracks where cars go in the region. But it later conceded that it has broad leeway over who can access the data, and that it has not elected to limit that access. Agencies that can see the data range from Border Patrol to tiny local police departments across the country. The San Diego Police Department has collected a massive database that tracks where cars go in the region, using a network of cameras that scan license plates and record the date, time and GPS location of the cars that pass by them. SDPD shares that database with the San Diego sector of Border Patrol – and with another 600 agencies across the country, including other agencies within the Department of Homeland Security. The nationwide database is enabled by Vigilant Solutions, a private company that provides data management and software services to agencies across the country for LPR systems. Together, the widespread information-sharing across agencies creates a surveillance network that can sketch out the travel patterns of individuals – where they live and work or which places they frequently visit, for instance – that can lead officers to where they might find them or their car. Officers can also upload plate numbers to get notified in real time when a specific vehicle next encounters a camera. Details of how SDPD uses its license plate reader database and with whom it shares that data are laid out in records it provided in response to a request from the Electronic Frontier Foundation, a digital privacy organization that has issued hundreds of similar requests across the country to learn how law enforcement is using license plate reader technology. SDPD, according to its current and former chiefs, does not proactively participate in federal immigration enforcement. Department leaders have said they believe undocumented residents should feel comfortable reporting crimes and cooperating as witnesses. Other California cities that object to local law enforcement officers participating in federal immigration enforcement efforts likewise make their license plate data available to immigration agencies, as Slate reported earlier this year. But SDPD has broad leeway within Vigilant’s operating system to decide which agencies can access license-plate data collected here. SDPD has elected not to limit which agencies can access that data. A spokesman for SDPD initially told VOSD that the department had no control over its information, and that only Vigilant could decide who sees the data. That isn’t true, and the spokesman has since conceded as much. A memorandum of understanding between SDPD and Vigilant stipulates that each agency retains ownership of its data, and can take steps to determine who sees it. A Vigilant Solutions user manual spells out in detail how agencies can limit access to their data. “If the Agency Manager wishes to remove an Agency from their Share, they can select the Agency by highlighting it and clicking ‘ Remove’,” the manual reads. That makes agencies like the San Diego Sector of Border Patrol a few keystrokes away from having a picture of when and where specific cars travel within the region. Williams said providing that information is not a contradiction of the department’s decision not to participate in immigration enforcement. SDPD’s sharing doesn’t stop at Border Patrol. The list of agencies with near immediate access to the travel habits of San Diegans includes law enforcement partners you might expect, like the Carlsbad Police Department – with which SDPD has for years shared license plate reader data, through a countywide arrangement overseen by SANDAG – but also obscure agencies like the police department in Meigs, Georgia, population 1,038, and a private group that is not itself a police department, the Missouri Police Chiefs Association. Those organizations have access to thousands of pieces of information about local travel behavior. In 2016, SDPD entered 493,150 license plate scans into the database. Williams said SDPD does not conduct any sort of cost-benefit analysis about its data-sharing approach. It does not, for instance, make any attempt to weigh the privacy cost of sharing against the law enforcement benefit of having access to the larger pool of information. Josh Chanin, a criminologist and professor of public affairs at San Diego State University, sees a number of problems with SDPD’s use of license plate reader data. For one, he said it’s concerning that the department initially said it had no control over who sees the data – and it’s even more concerning that it turned out to be unaware that it could, in fact, decide with whom to share the information. But more than that, Chanin said he isn’t convinced license plate readers are effective law enforcement technology in the first place. Indeed, there’s mixed evidence on their effectiveness. A George Mason University Study found that license plate readers used in crime hot spots don’t seem to deter crime. Another study from one of the same researchers and others found that they can be effective at deterring drug crimes if used in specific areas for short periods. A third study found they can be effective in combating auto theft. San Diego’s data, however, shows there aren’t many crimes being solved through license plate readers. Of SDPD’s 493,000 license plate scans in 2016, just one was associated with a felony, according to data produced in EFF’s records request. That year the system did scan 35 stolen cars and another 48 stolen plates. Chanin said the most important question is whether the cameras are effective. “There are ostensible benefits in locating stolen cars and serving warrants. At best, you could say that the empirical support for these technologies is mixed – at best. I can respect that (SDPD) is focused on solving crimes – that’s what they’re charged with doing,” he said. But, he said, SDPD is not alone in its responsibility. It’s the City Council’s responsibility to step in if the department is singularly focused on the technology’s law enforcement benefits.